Each year, usually in June, a group of fly fishing friends heads for trout country for a few days or more of fly fishing fun. 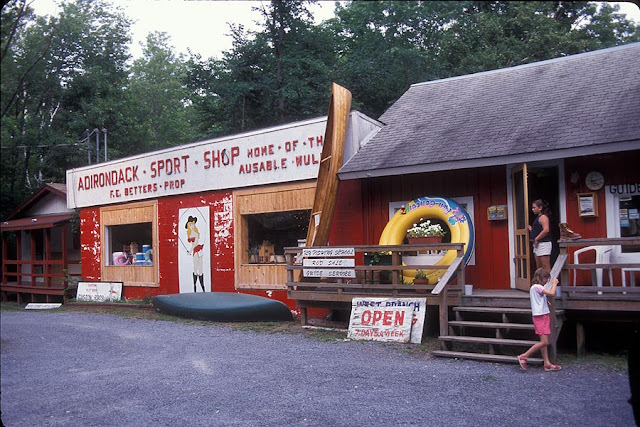 Typically the trip is to northern New Hampshire for fishing along the Connecticut River. Last year the trip was to Colorado, and this year it was to New York’s Ausable River. My friend Paul says these trips have been going on for over 35 years! I've only been on two of the trips, but am looking forward to many more. 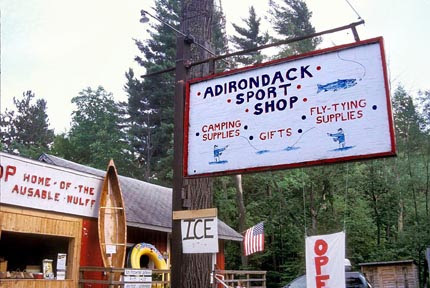 The Ausable is a famous trout fishery. I know of it because of Fran Betters, famed fly tier and the proprietor of the Adirondack Sport Shop in Wilmington, NY, about 10 miles from Lake Placid. 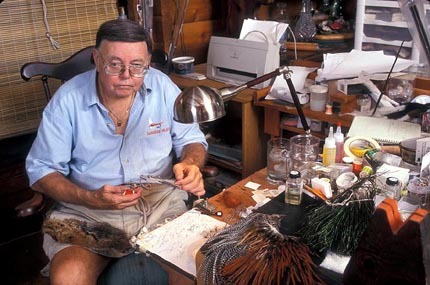 In fly tying, Fran is best known for “inventing” the Ausable Wulff, the Haystack, and the Usual. He’s also authored several books about fly fishing and fly tying. I met Fran at the Marlboro (Mass.) Fly Fishing show, perhaps in 2006. I wish I’d bought one of the Wulff’s he was tying. But I did purchase some “authentic” dubbing for tying the Ausable Wulff. Next post: The cast of characters.